Arthritis is the inflammation of one or more of your joints. This disease damages joints, so it can appear in any place in the body where there is a joint between bones: hands, feet, knees, elbows, hips, etc. In places like fingers, this condition may make it difficult to perform tasks using your hands. It can be very painful. 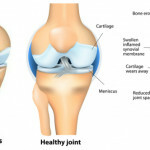 There are two common types of arthritis, osteoarthritis, and rheumatoid arthritis. Rheumatoid arthritis, an autoimmune disorder, attacks the lining of joints, whereas osteoarthritis breaks the cartilage. Other types of arthritis are associated with infections or underlying diseases like psoriasis and lupus. The most common arthritis symptoms are joint pain and stiffness, but they also include swelling, redness and decreased the range of motion. The symptoms tend to worsen with age. When you have arthritis, it is important to do exercise regularly. Inactivity can lead to muscle atrophy and further damage to joints. Exercise keeps your joints flexible and helps improve your range of motion. In addition, it strengthens your muscles and increases your endurance. If your muscles are strong, joints don’t have to make such an effort. Some sports aren’t appropriate for people suffering from arthritis because they can damage the joints. It’s better to avoid sports like running, jumping and tennis, and repetitive exercises. Chose activities that focus on stretching and allow for gradual progressive strength training. These activities include walking, cycling and water exercises. The latter is especially adequate as water reduces stress on weight-bearing joints. Yoga or tai chi are excellent choices. Take into account that overweight puts more pressure on your weight-bearing joints, so losing extra pounds can help prevent joint injuries, improve your mobility and decrease pain. Exercise and a healthy diet keep you fit and healthy and help you control your weight. Cold and heat can be helpful for arthritis. Applying cold to the affected areas can relieve swelling, whereas heat has a relaxing effect. Hot therapies also relieve sore joints in cold weather. Apply a cold compress, an ice pack or frozen vegetables in sore areas 3 times a day to relieve inflammation. Keep on using a cold compress for at least 24 hours. Replace the cold compress for a hot one. Instead of a hot compress, you can apply a heating pad, a warmed gel pack or a hot water bottle, or simply take a hot bath for at least 20 minutes. Massage stimulates blood circulation to the affected joints, temporarily relieving pain. 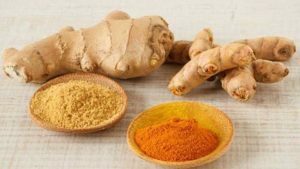 Ginger and turmeric act as natural anti-inflammatories, but without side effects. As a consequence, consuming these medicinal herbs is useful when treating inflammatory diseases such as psoriasis, osteoarthritis or arthritis because they alleviate the symptoms and pain. They also work to alleviate aching muscles and joints. You can add some ginger oil to your bath to ease joint pain, or simply spice up your meals with fresh or powdered ginger to enjoy its health benefits. Turmeric can also be added to your diet, just sprinkle some ground turmeric to your dishes. Clove has anti-inflammatory properties. Eugenol and flavonoids in clove help this natural ingredient act as an anti-inflammatory substance. Because of this, clove oil is useful to massage sore muscles and to ease joint pain. Although everyone needs omega-3 fatty acids, it may also be particularly useful to deal with arthritis. Researchers say that it may help reduce joint stiffness and pain. You can take fish oil supplements to obtain omega-3s.